Map of Bali's Amed Area. Diving in Amed, Bali is varied. Choose muck diving, wall diving, or wreck diving. The Amed dive sites actually stretch along the coast from Amed village (muck site) to Jemeluk and Bunutan, and beyond to Lipah Bay (“Japanese Wreck” site). Amed, the village, is located on the north east coast of Bali. The Amed area is quiet and the scenery lovely. The area makes a great location for 1 Day Bali Dive Trips. The more popular sites in the area include Bunutan Point, the Japanese Wreck and Gili Selang. 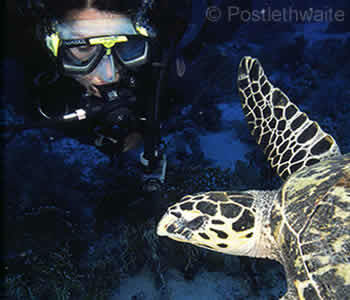 The reef is an excellent site for both divers and snorkellers. To the right of the bay is the Wall and a gentle slope. At Bunutan Point there is a large school of Garden eels, along with other macro subjects, plus schooling barracudas and other pelagics. The Japanese Shipwreck lies in Lipah Bay, further down the coast from Amed and is surrounded by a rich reef. Gili Selang is one of Bali’s least visited dive sites and is a great place to spot some of the larger pelagics. At both Jemeluk and Bunutan there is a grey/black sand beach, a gentle version of its nearby neighbour, the rocky Tulamben Bay. At Lipah Bay the shore is rocky, similar to the Tulamben area. There are a variety of sites in the vicinity of Amed from the reefs of Jemeluk and Garden Eel Point at Bunutan, to the more mucky Amed Ghost Bay. Access to the various Amed dive sites is either from the shore or by jukung (local boat). Conditions at Jemeluk and Lipah Bay are generally calm. At Bunutan currents can be strong depending on the tide, however this provides the opportunity to sight a wider range of pelagics. Gili Selang, on the eastern tip of Bali, can have strong currents. The temperatures can vary as the sites are subject to thermoclines and (on the whole) visibility ranges from 14-22m. Jemeluk and Japanese Wreck: None to mild; Bunutan and Gili Selang: can be strong (tide dependent). Black sand beach sloping into the water, warm temperatures and mild currents. When using jukungs for a boat dive, equipment is put on and taken off in the water, ladders are provided. Diversity of sites from muck to reef, and amazing coral formations. Excellent sites for snorkellers as there is a lot to see just below the surface. Book Your Bali Diving - Amed Area Today!